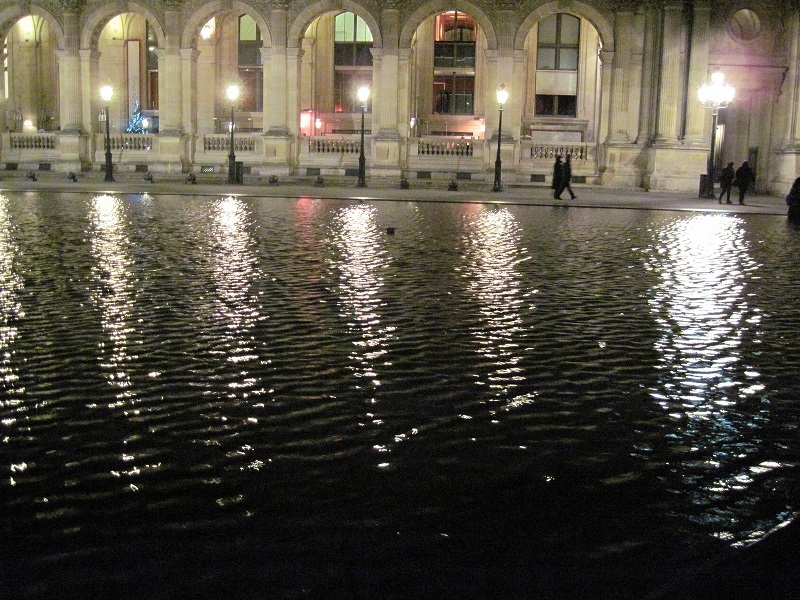 The lights on the reflecting pool at the Louvre. It’s difficult to write a self-promotional blog post in the wake of the violent attacks recently around the world. Having spent some of our summer in Turkey, it’s heartbreaking to see the ongoing factional violence between the Turkish government and its Kurdish minority, particularly since Paromita and I visited the largest Kurdish city in the country, Diyarbakir, where we experienced such warmth and open hearts from our new friends there. Last night, the news was full of the terrorist attacks on Paris and even Beirut (if you looked beyond the top headlines). The world that we’re living in is becoming scarier and scarier and while I can remember growing up with the threat of nuclear holocaust at the tail end of the Cold War, today’s times are even more difficult with the possibility of random acts of violence coming from extremists and lunatics both. 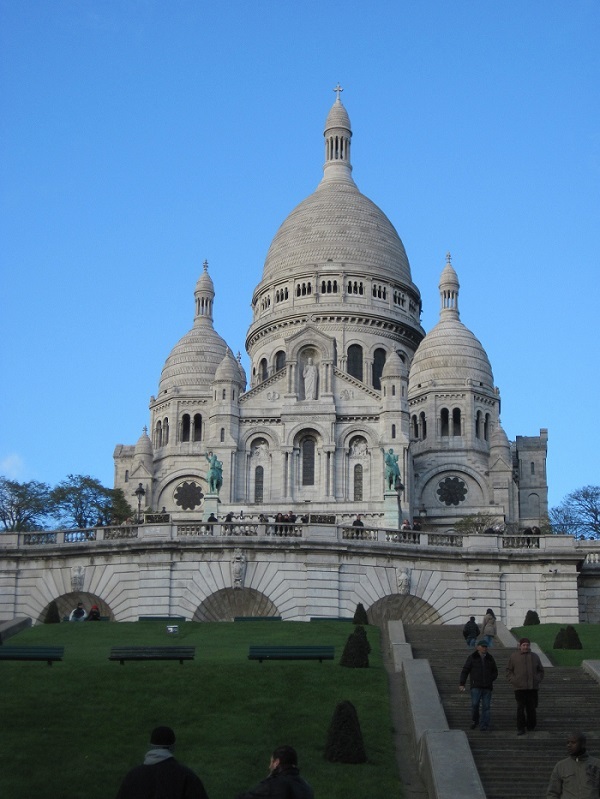 The photos you see here are from my trip in late 2011 to Paris where I stayed with my friend, jazz saxophonist Jonathan Orland (who, thankfully, is safe). Even in Canada, we recently marked the one-year anniversary of an attack in our capital city, Ottawa, where an unarmed soldier was killed, guarding our national war memorial. The attacker went on to threaten our Parliament. In the United States, the spectre of gun violence surrounds everyone and I applaud the efforts of the Society for Ethnomusicology for their petition protesting laws that allow citizens to carry concealed weapons on college campuses in Texas. 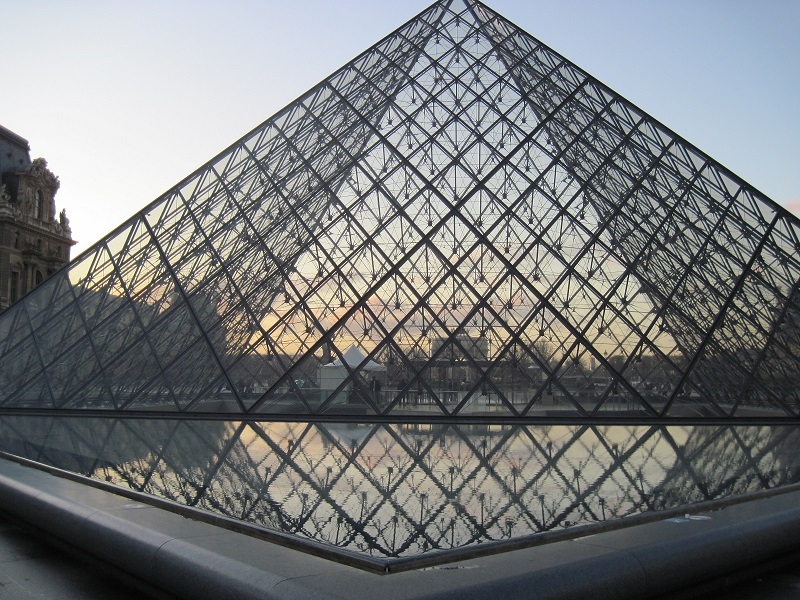 The pyramid at the Louvre, reflected. But life goes on, and in Toronto, KlezFactor is going to exercise the right to put on a random act of klezmer. After all, it’s through klezmer and the worldwide scene that I even know people in Paris like Jonathan. The band, featuring Jarek Dabrowski on guitar, Jim Sexton on bass and Noah Sherman on drums, is playing at the Tranzac Club (292 Brunswick Ave.) tonight in the Southern Cross Lounge (come in the door, through the little hall and then turn right)! We’re especially thrilled to be joined by percussionist Paul Georgiou who is also recording tracks for the upcoming album! We’ll be playing music from our two previous KlezFactor albums with a healthy dose of new music coming on Europa next year! Click the link for our Facebook event! Next → Next post: Happy Chanukah!